Fire officials say a qucik-thinking child likely saved his family from a fire in Winthrop, Maine, according to NECN affiliate WCSH. 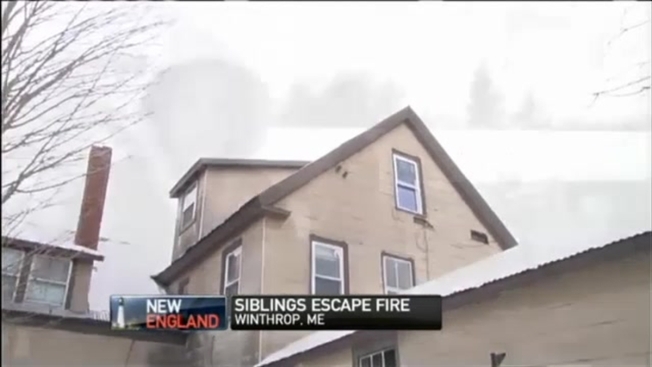 Fire officials say a quick thinking child likely saved his family from a Saturday morning fire in Winthrop, Maine, according to NECN affiliate WCSH. Winthrop Fire Chief Dan Brooks said 12-year-old Malachi Walo woke up to smoke in his bedroom and fire alarm sounding. Brooks said Walo sprung to his feet and woke up his two older siblings and quickly exited the building. There were no injuries in the fire. Brooks said Walo's parents had just left the apartment to go to the gym. Brooks said Walo was likely the reason everyone made it out safely. The chief said five people are displaced by this fire, and that the Red Cross is assisting. Fire officials say the fire likely started in the kitchen area, but no immediate cause has been determined.